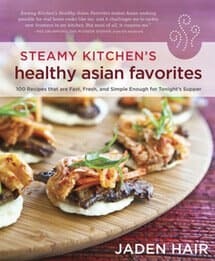 The Steamy Kitchen’s Healthy Asian Favorites speaks to a new wave of healthy eating without the sacrifice. Author Jaden Hair, whose Steamy Kitchen website and blog offer home cooks quick and easy recipes, has developed a collection of dishes that are flavor-packed, naturally gluten-free, and include little to no meat. In addition to explaining how to do away with the goopy sauces and high-calorie counts we’ve grown accustomed to with Asian cuisine, Jaden offers bright, interesting, and unquestioningly unique recipes inspired by food from across Asia, such as Malaysian Mango Pickle, Indonesian Gado Gado Lettuce Wraps, and Japanese Blackened Tofu with Ginger Ponzu Sauce. Her use of fresh orange juice and vinegar as a sweet-and-sour sauce, and loads of fresh herbs and citrus, packs in flavor without the extra calories. For sale at Random House, Amazon, Barnes & Noble, iBookstore and Google Books. Healthy Asian Favorites recipe Meyer Lemon and Cucumber Salad with Mint featured in the Vancouver Sun. “What am I going to cook for dinner tonight?” It’s a common lament for everyone, and the answer too often is something unhealthy, unappealing, or both in the form of expensive take-out. 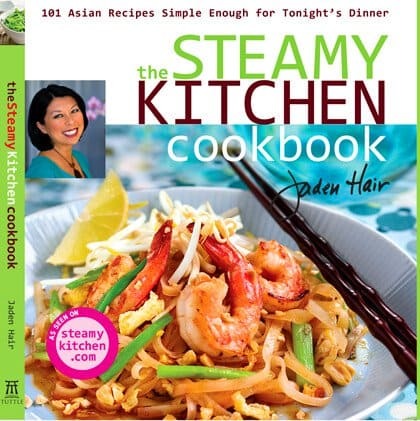 Jaden Hair comes to the rescue in The Steamy Kitchen Cookbook, a fantastic new cookbook stuffed with dozens upon dozens of foolproof Asian recipes that are quick and easy to do – all in time for tonight’s supper! Paperback for sale for $16.36 at Amazon.com, and BarnesandNoble.com. 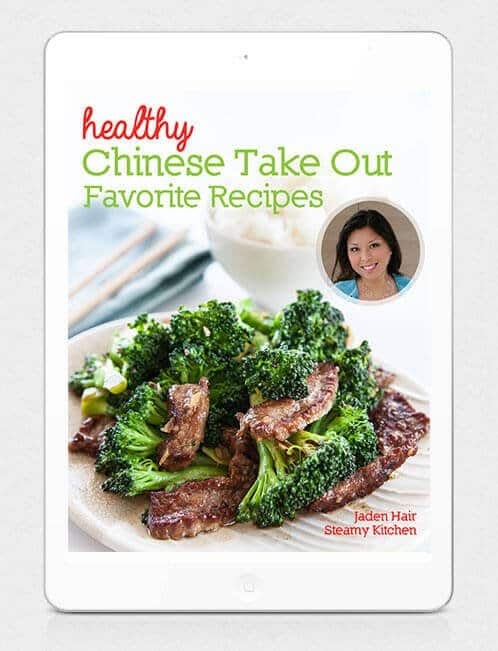 Hardcover for sale for $20.95 at the Steamy Kitchen Store and Amazon.com. Fifteen of your favorite Chinese Take Out recipes, healthier, and homemade. Your family and friends will rave about your restaurant-quality meals, without all the fat, calories and sodium. Easy-to-follow recipes with photos to make sure you can cook with confidence. Come see a preview of all the recipes here!